Charley Maplewood has never been one for parties -- that would require friends, which he doesn't have. 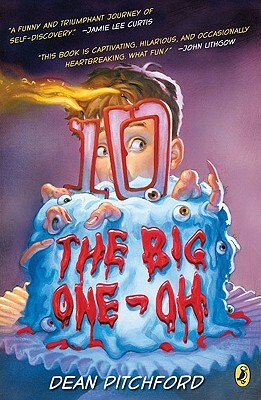 But now that he's turning ten -- the big one-oh -- he decides to throw a birthday party for himself, complete with a "House of Horrors" theme and a big birthday cake. Of course things don't work out as Charley plans. In trying to make friends, he ends up inviting the class bully Cougar to come, and that's before he ruins the cake and burns down the garage. By the time of the big day, Charley's home really is a house of horrors. Will Charley be able to pull it together before the big one-oh becomes the big OH-NO!? From start to finish, The Big One-Oh is a laugh-out-loud riot, and any reader will relate to the pressures Charley faces both at school and at home in planning his special day. So put on your party hat and celebrate The Big One-Oh today!